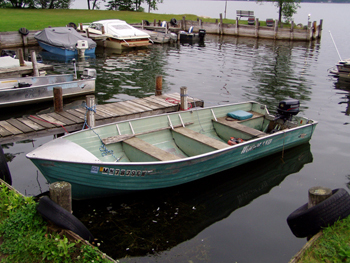 Boat ramp use and one harbor space are provided per unit rental. 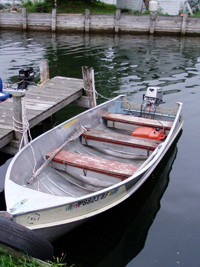 Additional harbor spaces and boats may be rented if available. 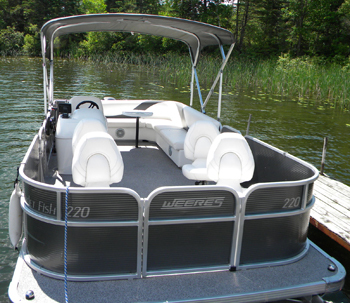 Boat and pontoon rental available to Woodland guests only. 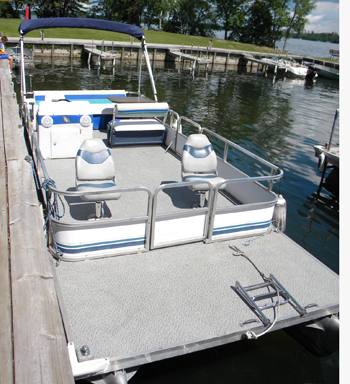 BOATS: 16 ft. aluminum boat (pictured bottom right) is included with unit rental. Bring your own motor or rent one of ours. 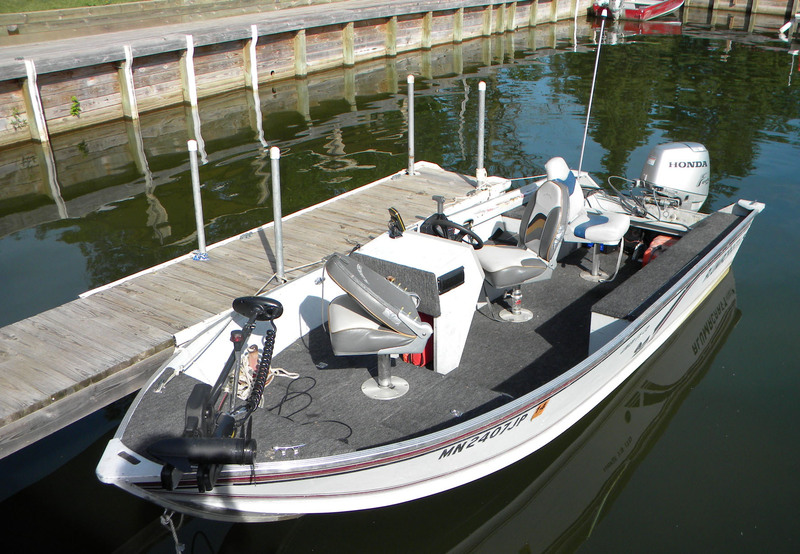 Extra boat is $10/day or $50/week. 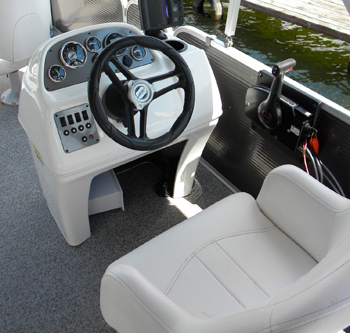 18 ft. boat (pictured right) is available only with 25 hp Honda rental.